Our Annual Supporters Meeting and Reunion will be on Saturday 4th May this year at St Paul’s Community Centre, Rossmore Road, Marylebone, London NW1 6NJ. Doors open at 12.30pm, and curry will be served from 1pm. 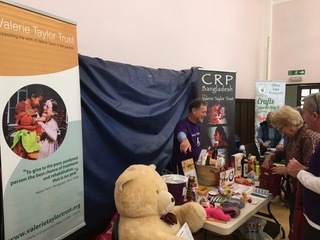 VTT had its annual stall at the Charity Fair, St. John’s Renfield Church, Glasgow on 21st April, organised by Ross Gallacher and Glen McGhee (recently returned from CRP). 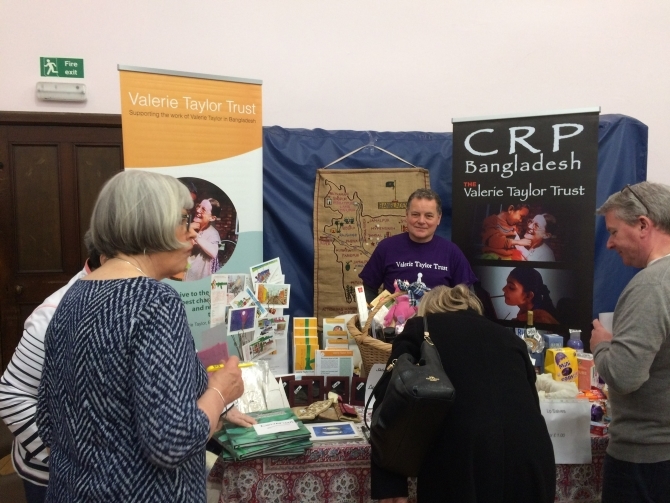 Our Annual Supporters Meeting and Reunion will be on Saturday 12th May this year at St Paul’s Community Centre, Rossmore Road, Marylebone, London NW1 6NJ. Very sadly, our Chairman Bertie Woolnough died suddenly on 21 March. He had been a supporter of CRP for over thirty years, and had led VTT with energy and vision since its inception 10 years ago. We shall miss him sorely, and our thoughts are with his family in their bereavement. The BAG in recent years have been celebrating the Victory Day of the Bangladesh Liberation War. This year 19th December 2017 the BAG held the event in the Scottish Parliament in Edinburgh at the invitation of Ivan McKee MSP who did a 2 year VSO attachment in Bangladesh in the 1980s. The Annual Supporters Meeting and Reunion will be held this year on Saturday 13th May. As before it will be at St Paul’s Community Centre, 5 Rossmore Rd, Marylebone, London NW1 6NJ. Looking for a gift at this Festive Season, for example for “someone who has everything”? Do use our Essential Gift Scheme: for details click here.